This Facilitation Plan is a summary of the Airline’s policies and the assistance that will be provided to its customers to assist their travel with us in as dignified and non-discriminatory a manner as possible. Air India will provide such assistance as far as is reasonably possible, and in accordance with its policies applicable from time to time. Every effort is made to make your journey comfortable and all necessary arrangements are made in advance to facilitate them. 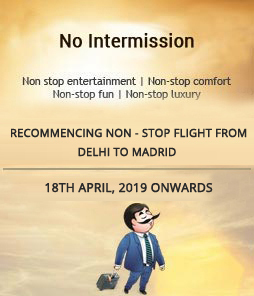 Passengers who require additional assistance at the airport or during the flight must notify Air India at the time of booking and at least 3 days prior to the intended departure date. 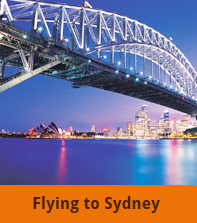 The Air India Australian Call Center number is 1800247463. 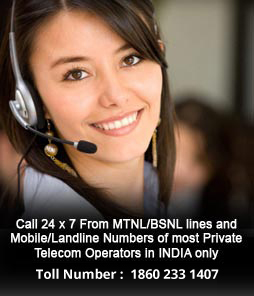 Call Center daily operating hours are from 0001 Hrs to 2400 Hrs (24 X 7). 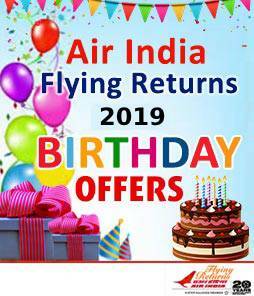 Please note, for any bookings made through the internet or via a travel agent, it is the passenger’s responsibility to advise Air India directly of their specific needs. This will ensure the passenger’s booking has all the relevant information so that the appropriate level of assistance can be provided. Passengers will not be charged a convenience or booking fee for notifying the Call Center. 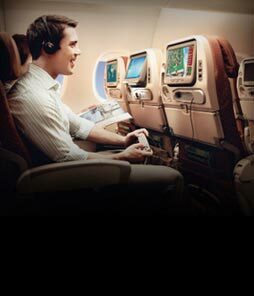 For further information on traveling on Air India please visit our website www.airindia.com or contact us direct. We do not retain information regarding prior special requests of a particular passenger. Accordingly passengers with particular needs are advised to provide this information for each booking with us. Air India may refuse to carry passengers in certain conditions. Air India is not able to provide supervision for those passengers who cannot travel alone, but we are able to provide limited direct assistance. Please call us for further information prior to booking. You must let us know at least 3 days in advance if you have a vision or hearing impairment. This will ensure airport staff are ready for your arrival and provide everything necessary for your safety and convenience. Appropriately trained and certified service dogs may travel free of charge, subject to compliance with our policy. A service dog may not occupy a seat. Al individual country regulations for carriage of a dog must be complied with. All permits are required to be presented at the time of reservation. 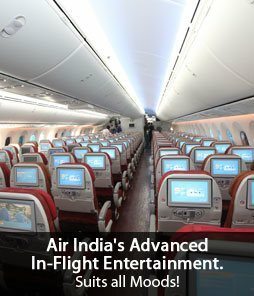 For more information for passengers traveling with a service dog, please see http://www.airindia.in/International-Passengers-Requiring-Medical-Attention.htm or contact us direct. All passengers must be medically fit to travel in order for Air India to accept them for carriage. Most people with existing medical conditions are able to fly on commercial aircraft without difficulty. However on the flight the cabin air is pressurized and precautions are sometimes needed if you have a respiratory or heart problem. 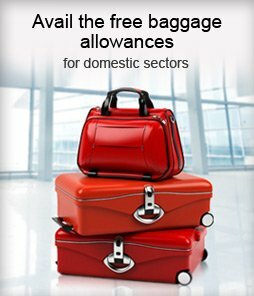 For more details, if you have a medical condition see http://www.airindia.in/International-Passengers-Requiring-Medical-Attention.htm or contact us. For purposes of comfort and/or carriage of baggage in the cabin which does not fit in the overhead bin, passengers may book an extra seat. The fare to be paid is the normal fare which would have been charged to a passenger, occupying such a seat. In case the seat is booked for carriage of baggage, the maximum weight of any such baggage shall not exceed 75 kilos per seat. The baggage is subject to security clearances for carriage in the cabin. Assistance will be provided in as dignified and non-discriminatory a manner as possible, within the constraints of available resources. We are not able to provide supervision for those passengers who cannot travel alone, but we are able to provide limited assistance. Passengers traveling alone must be independent so far as personal needs are concerned including: being able to self-toilet, administer their own medication, eat or drink without assistance, be able to man oeuvre themselves from check-in to the boarding gate and, be able to evacuate unassisted in the case of a ground or in-flight emergency. Otherwise a carer may be required. If passengers are traveling with a carer, they must advise us so we may ensure the carer is sitting next to the passenger. Please note: A carer must be physically able, independent and a responsible person of at least 18 years of age, able to assist the passenger with his/her personal needs including assisting with transfers to and from mobility devices and seating as required and, in the case of a ground or in-flight emergency. For safety purposes, we are not able to seat the passenger and his/her carer in an emergency exit row. You must notify us at least 3 days prior to the travel date that the passenger has a disability and is traveling with a carer. The booking for the carer needs to be made at the same time as the booking for the passenger with the disability. For your safety and comfort you will be seated in the most appropriate seat available having regard to your needs. We will do all that is reasonably possible to accommodate seating requests but this may not be guaranteed for operational, safety or security reasons. Please note, due to air safety regulations, any passenger with specific needs and/or requiring special assistance, has an injury or requires a carer, cannot occupy exit row seats. If the passenger is traveling with a carer, the carer will be seated next to the passenger. A meet and assist service can be provided, if assistance is required at departure and on arrival. Please refer to the Disability Access Facilitation Plan of the relevant Airport for further information on the assistance they may provide. Air India check-in counter opens 3 hours prior to the scheduled time of departure and closes strictly 1 hour prior to departure by which time all passengers should have completed the check-in process. It is recommended for passengers requiring additional assistance to arrive 2 hours prior to the scheduled time of their departure flight so the required level of assistance can be provided, subject to adequate notice having been given to us, as set out above. All check-in counters are accessible to passengers with disabilities. Whilst check-in counters are not at wheelchair height, check-in staff is trained to accommodate the needs of passengers with a disability. Please refer to the Disability Access Facilitation Plan of the relevant Airport for further information regarding their terminal facilities. Air India is not a screening authority and is not responsible for any security screening activities in any Australian airport. Please refer to the Disability Access Facilitation Plan of the relevant Airport for further information related to security screening. In order to facilitate a smooth and dignified boarding, passengers with disabilities and/or requiring special assistance are requested to be present at the boarding gate at least 60 minutes prior to departure and will generally be boarded before other passengers and disembarked after all other passengers. In order to facilitate a smooth and dignified disembarkation, passengers requiring special assistance will be disembarked after all other passengers, with such assistance as may be reasonably required and available. Every effort will be made to minimize the effects of disruptions such as flight delays and cancellations for passengers requiring additional assistance. 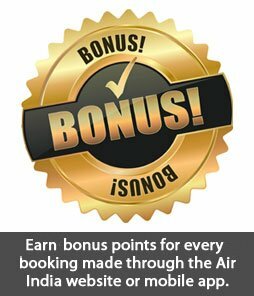 It is recommended for passengers to make themselves known to staff and to remain in either the check-in or boarding gate areas as required. Air India staff and crew undertake training in customer service delivery and disability awareness to meet the needs of all passengers including those requiring additional assistance. Please refer to the Disability Access Facilitation Plan of the relevant Airport for further information. Air India is always looking to improve the ways in which we cater to the needs of passengers with special needs. We will update this Facilitation Plan and our Policies from time to time.